Drinking water is a good habit. But what can happen if it gets accumulated in different parts of your body? It would increase your body weight, alter the consistency of your blood and electrolytes, and cause other complications. So, how do you get rid of fluid retention? The answer is – Natural diuretics. I can see the question mark on your face. Read to find out more. What Is A Diuretic And How Does It Work? What Are The Types Of Diuretics? What Else Do These Water Pills Do? What As A Diuretic And How Does It Work? A diuretic is a drug that increases urine output. It usually alters sodium excretion from the kidneys. The sodium takes water along with it from the blood – thereby increasing urine output. As the water content in the blood goes down, so does the pressure on the vessel walls – and this lowers your blood pressure. Due to this action, diuretics are also called water pills. Thiazides – reduce fluids and relax blood vessels. E.g. : Chlorothiazide, Metolazone, and Indapamide. Loop diuretics – act on Henle’s loop in kidneys and treat fluid retention that might otherwise cause heart failure. E.g. : Torsemide, Furosemide, and Bumetanide. Potassium-sparing diuretics – reduce fluid retention without the loss of potassium, and this prevents heart problems. E.g. : Amiloride, Triamterene, and Eplerenone. I have an alternative for all of you. How about using natural diuretics that have no side effects? Sounds safer, doesn’t it? Read on to find out more about these natural diuretics. Caffeinated beverages like coffee and certain types of tea have a diuretic effect on your body. 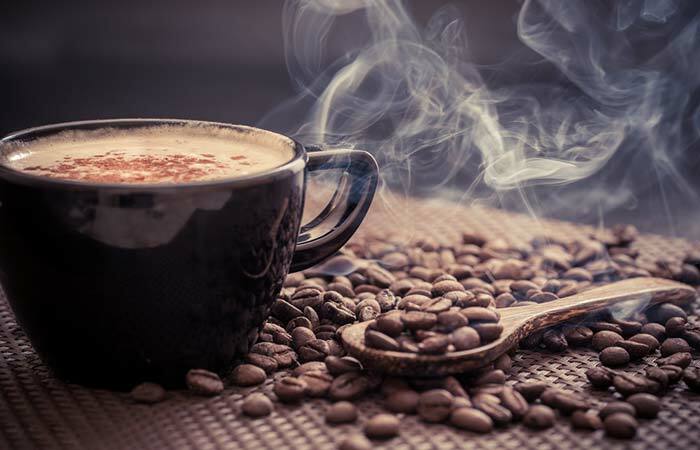 Compounds called methylxanthines in caffeine affect sodium reabsorption in the kidneys – and you end up losing sodium and other solutes along with lots of water. When taken in the right amounts, coffee helps lower blood pressure and fluid retention in your body. 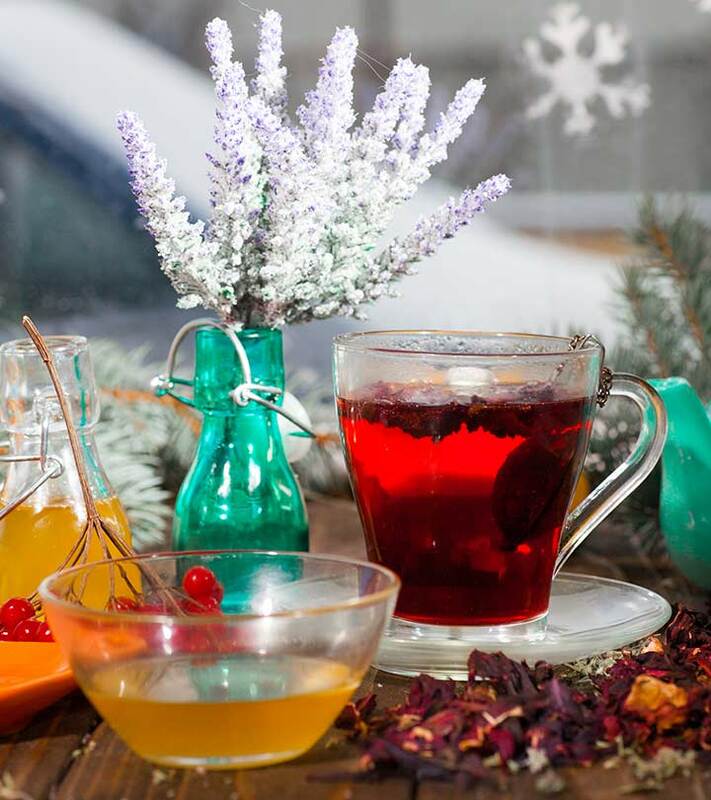 One of the numerous benefits of herbal teas is their diuretic property. 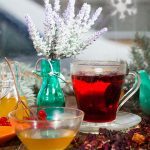 These teas find their usage in ancient medicine as treatments for digestive and heart disorders. dandelion, horsetail, hawthorn, parsley, stinging nettle (Urtica dioica), chamomile, hibiscus, alfalfa, burdock root, calendula, and juniper. Word Of Caution: Diuretics, when taken in higher quantities, can lead to dehydration. So, moderation is key. remember to cook it the right way – do not undercook or overcook. Time to stock them up! The only time you care to look at pumpkins is before Halloween. But they find a lot more use in medicine. Pumpkin (Cucurbita maxima) and its seeds have been used to treat urinary tract infections, bladder infection, and even prostate disorders. The seed oil, along with the fruit, has diuretic properties and also can cure urination troubles like nocturia (1). Watermelon is your kidneys’ best friend as it helps in filtration, clarification, and production of urine. The pulp contains alkanes and steroids that reduce sodium levels in the blood and prevent the formation of calcium and oxalate stones (2). 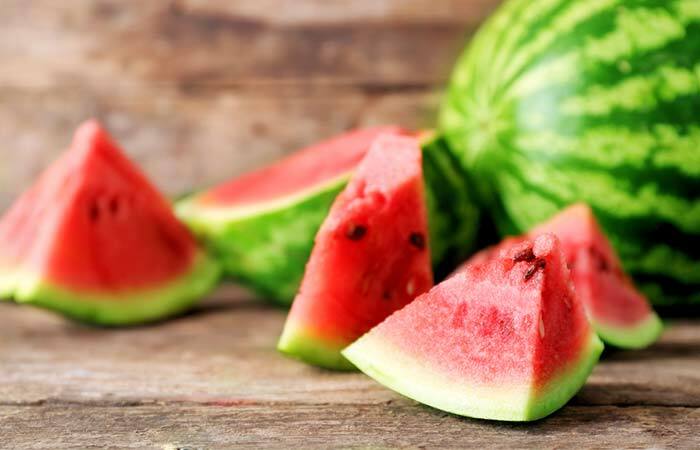 Watermelon has other bioactive components like cucurbocitrin and citrallin that dilate blood vessels and maintain blood pressure. Try making a smoothie with it this time! Belonging to the family of onions, garlic, and leeks (Apiaceae), celery and its seeds also can reduce hypertension and increase heart rate – and this can be linked to its diuretic nature (3). Celery acts like a potassium-sparing diuretic by restoring the balance between sodium and potassium ions in your body. So, while making your salad this time, use a simple olive oil-celery seed dressing to rope in all its benefits! Black cumin seeds or nigella seeds or black caraway (kalonji) are a staple in Middle Eastern and Asian cuisines. They have also been used in traditional Egyptian medicine to treat diabetes, eye infections, indigestion, toothache, etc. Along with fighting infections, black cumin seeds can also manage hypertension, asthma, edema (fluid retention), swollen joints, and bloating – thanks to their diuretic nature. This boosts the health of the urinary system, including the kidneys (4). Dietary nitrate, abundantly found in leafy greens, can prevent heart diseases, regulate blood pressure, and maintain the vascular and circulatory systems (5). Greens like spinach, kale, lettuce, cabbage, pak choi (Chinese cabbage), broccoli, and watercress have a high nitrate content that gives them the diuretic property that helps detox your body. Beetroot and beet leaf are excellent sources of nitrate and potassium – both mediate diuresis, thereby maintaining your blood pressure. 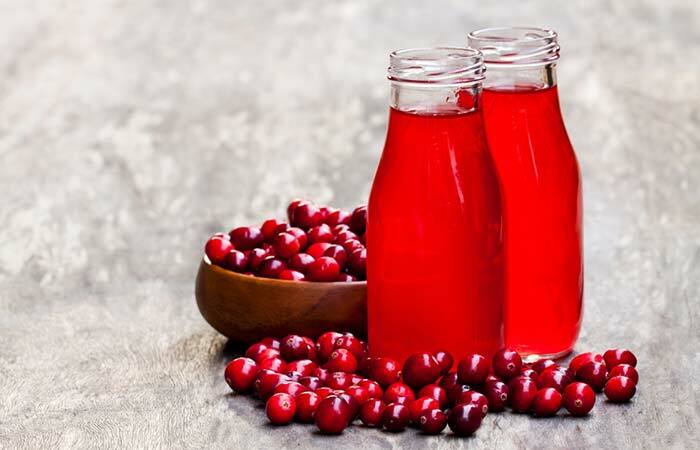 Like celery, cranberry juice is a potassium-sparing diuretic that restores potassium levels in your body while eliminating excess fluid. This juice has antioxidants and vitamin C that fight microbial infections in the urinary tract and protect your kidneys and bladder. You can try having dried berries or berry supplements if you find the juice non-palatable. The best way to start your day might be with a cup of coffee, but I say, lemon water. Yes! Lukewarm water with a slice of lemon does wonders to your body, way more than a hot cuppa. As they are natural reservoirs of vitamin C, lemons contain the best antioxidant you could ever ask for. Besides this, they help flush out excessive salts and fluids from your body. This simple drink can help you lose weight without any side effects. You can add a lemon slice or squeeze some lemon juice into a glass of either lukewarm or hot water. Just observe how fresh and light you’d feel when starting your day with this detox drink. I’m sure that you’d try to make this simple and rejuvenating drink. 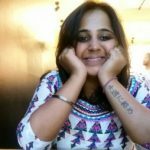 As a bonus, let me share some fun facts about natural diuretics. Artichokes are edible flowerheads that have one of the highest levels of antioxidants in vegetables. They also are excellent diuretics. Juniper is yet another natural diuretic that not only prevents fluid retention but also treats indigestion, bloating, and loss of appetite. Hibiscus is not only a beautiful flower to look at. Along with its leaves, hibiscus flower is used to treat bladder infections, fluid retention, and constipation. Peach (Prunus persica) works as a laxative and bladder cleanser. It also helps in reducing weight by flushing out excess fluids from your body. Some diuretics are effective when taken on an empty stomach, and some when taken on a full stomach. Choose carefully. That sounds great! But for something that’s so versatile, are there any associated risks? Natural diuretics have fewer side effects than their synthetic counterparts. These side effects are also rare and arise only when the dosage, way of administering, or history of the patient are not well defined. It is safe to substitute natural diuretics with water pills because the side effects are fewer. Natural diuretics are also comparatively affordable. Before including them in your regimen, talk to your doctor about the dosage, medium of administration, and diet restrictions. Discuss your health history in detail with your doctor to choose the most suitable natural diuretic for you. If taken within limits, natural diuretics are one of the best supplements for good health. Make sure you include them in your daily meals from today to protect your vital organs and boost overall health. Please share your feedback and recipes with any of the ingredients we discussed here. For experts’ answers to basic queries, check out the FAQs. If you love to read articles like this, then like, share, and spread the word. How long does it take for a diuretic to work? When taken orally, diuretics start working after 1-2 hours. They will make you urinate more for about 15 days, after which you get accustomed to their action – and urination frequency reduces. 2. “Evaluation of anti-urolithiatic and diuretic activities…” Biomedicine and Pharmacotherapy, US National Library of Medicine. 3. “Antihypertensive Effect of Celery Seed…” Journal of Medicinal Food. 4. “Nephroprotective and Diuretic effect of Nigella…” African Journal of Traditional, Complementary and Alternative Medicines.